Expired 3mo ago . Last validated 2mo ago . Used 3 times. J.Marian Lois I am validating that this deal work as described. 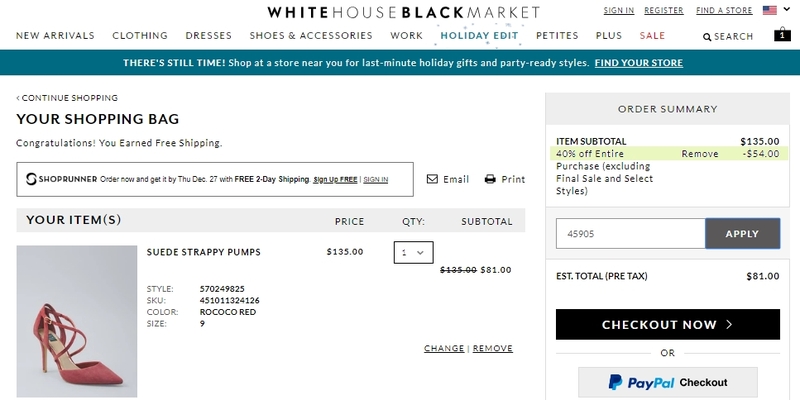 Just Enter code and Get 40% Off Sitewide at White House Black Market. 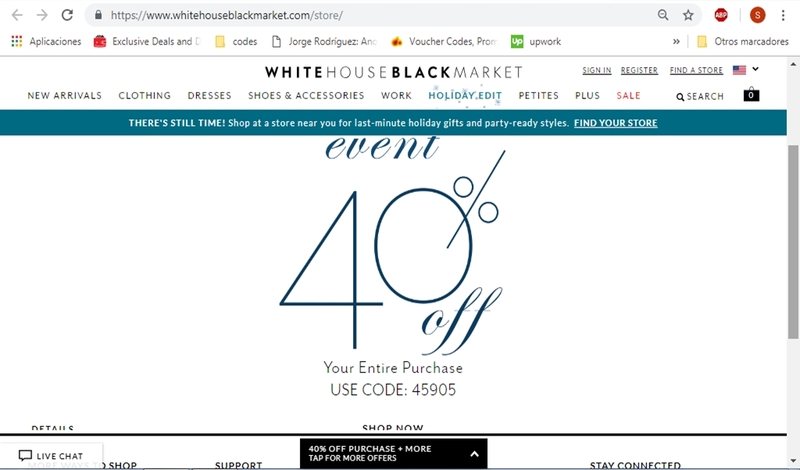 Rene Orellana *Present coupon at time of purchase in U.S. & Canada boutiques only (excluding outlets), or use offer code when ordering online at whbm.com or at 877.948.2525. 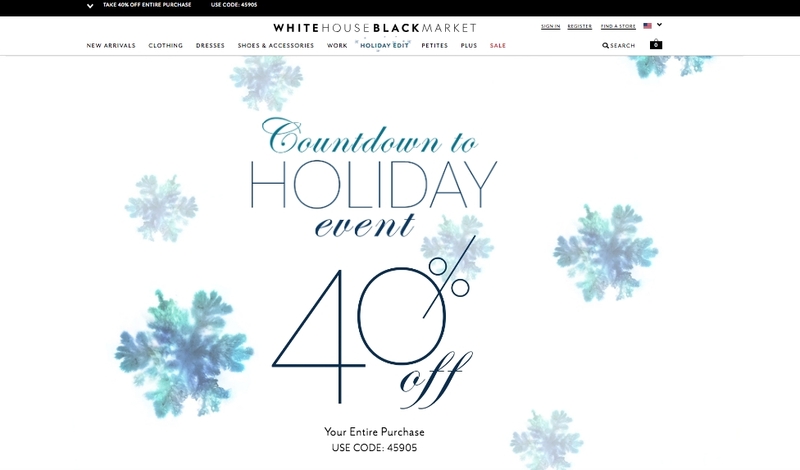 Offer excludes items being sold to benefit charity, gift cards, previously purchased merchandise, clearance and final sale, Non- WHBM branded items, taxes and shipping. 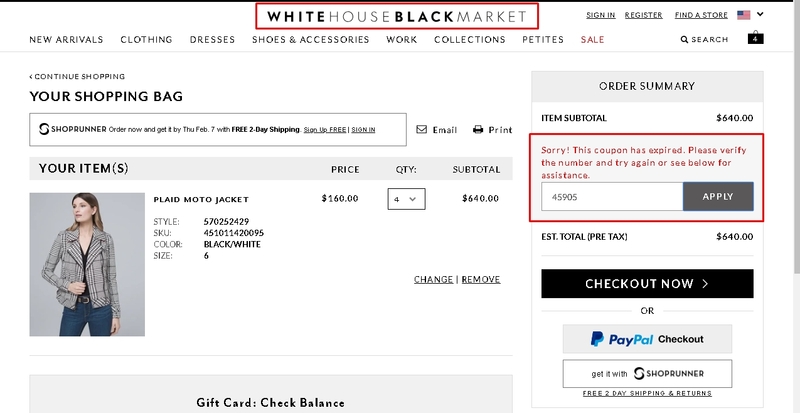 This coupon has no cash value, is not transferable, not for resale and may not be reproduced. If you return a portion of your purchase, the refunded amount will reflect prorated discount as applied to the entire purchase and shall not exceed amount paid. Offer valid through 12/24/18.